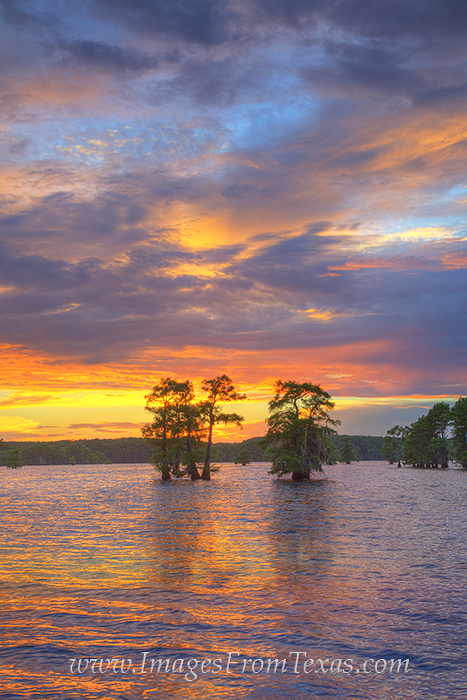 Evening falls across Caddo Lake on a warm summer evening. I didn't know how this sunset would turn out. With the clouds building, I figured the sun would go quietly, but to my surprise, the sky lit up in a grand finale to a wonderful day in east Texas. Photo © copyright by Rob Greebon.